7:02 Oath of Office for Mayor and New Council Members. 2) CONSENT AGENDA The listing under consent agenda is a group of items to be acted on with a single motion. The consent agenda is designed to expedite council business. The Mayor will ask if any citizen or council member wishes to have any specific item discussed. You may request that an item be removed from the Consent Agenda at that time, prior to Council’s vote. Items removed from the consent agenda will be considered under New Business. 7:20 3) PUBLIC COMMENTS Citizens may make comments on items not scheduled on the agenda. Those commenting should state their name and physical address for the record and limit comments to five minutes. A) Ordinance 19, Series 2007 – An Ordinance Amending Article 6 of the Town Code to Adopt Regulations Governing Noise Within the Town (Continued from 11/5/07). B) Ordinance 28, Series 2007- An Ordinance Authorizing the Sale of Ruby Townhouses, Town of Crested Butte. A) Paradise Animal Welfare League (PAWS) Update on Proposed New Temporary Animal Shelter. B) Ordinance 29, Series 2007 – An Ordinance Adopting Changes And Additions To The 2007 Budget And Appropriations Relative To The General Fund, General Capital Fund, Sales Tax Fund, And Affordable Housing. C) Ordinance 32, Series 2007 – Raising Water and Sewer Monthly Service Fees From $43 to $44, And Raising Tap-In Fees From $13,500 to $14,500. D) Resolution 12, Series 2007 – A Resolution To Adopt The Mill Levy For The Town Of Crested Butte, Colorado For The Fiscal Year 2008, Beginning The First Day Of January 2008 And Ending The Last Day Of December 2008. E) Ordinance 30, Series 2007 – An Ordinance Adopting The Budget And Appropriating Sums Of Money For The Town Of Crested Butte, Colorado For The Fiscal Year Beginning the First Day of January 2008, And Ending The Last Day Of December 2008, Estimating The Amount Of Money Necessary To Be Derived From Revenue Sources, And Setting Forth The Total Estimated Expenditures For Each Fund. F) Ordinance 31, Series 2007 An Ordinance Amending Article 5-2 Of The Town Code Providing For A Temporary Reduction To Certain Portions Of The Business And Occupation Licensing Tax For Fiscal And Calendar Year Of 2008; And Providing The Automatic Repeal Thereof Effective On The First Day Of January, 2009. G) Ordinance 33, Series 2007 – An Ordinance Amending the Second Amended Guidelines, Rules, Requirements and Administrative Procedures Governing Affordable Housing In Blocks 77 And 78 Of The Paradise Park Affordable Housing Subdivision, Town Of Crested Butte. H) Approval of Plat and Party Wall Agreement for Ruby Townhouses. I) Approval of Plat and Party Wall Agreement for Cornerstone Townhouses. J) Re-Plat of Ore Bucket Commercial Center Condominiums. K) Crested Butte Land Trust Request For Funding For Acquisition of Conservation Easement On Rozman Ranch. L) Approval Of Amendment To Verzuh Ranch Annexation Agreement. N) Town Council Committee and Board Appointments. O) Approval of 2008 Town Council Regular Meeting Calendar. • Monday, November 19, 2007-8 a.m. Coffee with the Council- Gas Café. • Monday, November 26, 2007-4:30 p.m. Council Work Session. • Monday December 3, 2007 – 8 a.m. Coffee with the Council – Gas Café. • Monday December 3, 2007 – 7 p.m. Regular Council Meeting. • Monday December 10, 2007 – 4:30 p.m. Work Session. Published in the Crested Butte News. Issue of November 16, 2007. #111614. Notice is hereby given that the Board of Directors of the District will consider the proposed 2007 amended budget and the proposed 2008 budget. That a copy of such 2007 proposed amended budget and the proposed 2008 budget has been filed in the office of Crested Butte South Metropolitan District, 280 Cement Creek Road, Crested Butte, Co. where the same is open for public inspection. That such 2007 proposed amended budget and the 2008 proposed budget will be considered at the regular meeting of the Crested Butte South Metropolitan District to be held at 280 Cement Creek Road, on Wednesday the 28th, day of November 2007 at 6:00 p.m.
Any interested elector of the Crested Butte South Metropolitan District may inspect the 2007 proposed amended budget and the 2008 proposed budget and file or register any objection thereto at any time prior to the final adoption of the budgets by the Board of Directors. Monday, November 19, 2007 ~ 9:00 a.m.
C) Transit Manager's Operational and Financial Report. Published in the Crested Butte News. Issue of November 16, 2007. #111606. Please take notice that the Mt. Crested Butte Planning Commission will hold a public hearing on December 5, 2007 at 5:00 p.m., in the Council Chambers, Municipal Building, Mt. Crested Butte, Colorado. In addition, a new section is proposed to be added to Chapter 21 Zoning, which would be Section 21-355.1 Official Topographic Base Map. This is intended to allow for the creation of an official topographic map from which all building heights within Mt. Crested Butte will be measured. All interested persons are urged to attend. Written comments are welcome and should be received at the Town Offices, PO Box 5800, Mt. Crested Butte, CO 81225-5800 or by fax at (970) 349-6326 by Thursday, November 29, 2007. Comments can also be sent by e-mail to elkmtnplan@aol.com. The Draft Code Amendments are available for viewing at Mt. Crested Butte Town Hall during regular business hours, and on-line at www.mtcrestedbuttecolorado.us. Dated this 13th day of November 2007. If you require any special accommodations in order to attend this meeting, please call the Town Hall at 349-6632 at least 48 hours in advance of the meeting. Sealed bids will be received by Skyland Metropolitan District (Owner) for the Lake Grant Dredging Restoration Project until 5:00 pm Mountain Standard Time on November 26th, 2007 at 350 Country Club Drive, Suite 112A, Crested Butte, Colorado 81224, Attn: Frank Alfone, District Manager. 1) Removal of sediment from the lake bottom in a designated portion of the lake to achieve the new shoreline and lake bottom configuration shown on the Dredging Plan. 2) Temporary stockpiling of wetland plants and soil from designated access routes along the lake shoreline. 3) Replacement of stockpiled wetland plants and soils to access routes and restoration of the routes following completion of sediment removal from the lake. 4) Disposal of lake sediments at designated disposal areas shown on the Sediment Disposal Plan. 5) Construction and maintenance of measures for water quality protection throughout the construction period. The work will be completed during late fall and winter of 2007-2008. The water level of Lake Grant will be lowered prior to the work so that work areas will not be under water and will be "dry" to the extent possible. Contract documents are available from the office of the Skyland Metropolitan District at the address listed above starting on November 9th, 2007 for a cost of $40 per set. The phone number for the District is 970-349-7411. The Contractor is not required to submit a statement of qualifications along with the bid, but should be prepared to demonstrate their experience for completing the project if asked by the District. This solicitation for bids may be cancelled by the District and any bid may be rejected in whole or in part for good cause when in the best interests of the District. The District reserves the right to reject any and all bids, and to accept what is in its judgement the best bid. Only a certified check, cashiers check or bid bond will serve as an acceptable bid guarantee. If a bid bond is used, it must be on the form provided in the Contract Documents. The application of Ed and Rita Miller to change a previously approved plan to construct a new single-family residence at 630 Maroon Ave. block 53, lots 1-2, zoned R1C. Additional requirements are: – Permission to demolish an existing non-historic residence is requested. – Architectural approval is required. Published in the Crested Butte News. Issues of November 16 and 23, 2007. #111612. 6:10 PM – Public Hearing – Ordinance No. 10, Series 2007 – – An Ordinance Of The Town Council Of The Town Of Mt. Crested Butte, Colorado Summarizing Expenditures And Revenues For Each Fund And Adopting A Budget For The Town Of Mt Crested Butte, Colorado, For The Calendar Year Beginning On The First Day Of January, 2008 And Ending On The Last Day Of December, 2008. Discussion And Possible Consideration – Ordinance No. 10, Series 2007 – An Ordinance Of The Town Council Of The Town Of Mt. Crested Butte, Colorado Summarizing Expenditures And Revenues For Each Fund And Adopting A Budget For The Town Of Mt Crested Butte, Colorado, For The Calendar Year Beginning On The First Day Of January, 2008 And Ending On The Last Day Of December, 2008. First Reading. Discussion And Possible Consideration – Resolution No. 11, Series 2007 – A Resolution of The Town Council of The Town Of Mt. Crested Butte, Colorado, Accepting The 2006 Audit For The Town Of Mt. Crested Butte, Colorado. If you require any special accommodations in order to attend this meeting, please call the Town Hall at 349-6632 at least 48 hours in advance. Public comment on these agenda items is encouraged. This preliminary agenda is placed in the newspaper to notify the public of tentative agenda items for the meeting date noted above. The official posting place for the agenda is the bulletin board in the Mt. Crested Butte Town Hall entry. Please refer to that official agenda for actual agenda items for the meeting date noted above. Published in the Crested Butte News. Issue of November 16, 2007. #111609. Pursuant to the laws of the State of Colorado and the ordinances of the Town of Mt. Crested Butte, Colorado, Crested Butte LLC, d/b/a On The Run – on October 18, 2007 applied for a Beer/Wine Liquor License. If granted, said license will be exercised at 620 Gothic Road, Unit C-150, Mt. Crested Butte, Colorado. The liquor license authority of the Town of Mt. Crested Butte, Colorado, will hold a public hearing on said application on Tuesday, the 20th day of November, 2007 at 6:05 p.m., in the Council Chambers, Municipal Building, Mt. Crested Butte, Colorado at which time and place any interested persons may be present and heard. Any petition or remonstrances pertaining to the grant of said license may be filed at the office of the Town Clerk, Town Offices, 911 Gothic RD (PO Box 5800/fax: 970-349-6326), Mt. Crested Butte, Colorado 81225. Dated this 13th day of November, 2007. Published in the Crested Butte News. November 16, 2007.#111608. Pursuant to the laws of the State of Colorado and the ordinances of the Town of Mt. Crested Butte, Colorado, Happy Place LTD, d/b/a django’s–, on October 19, 2007 applied for a Hotel & Restaurant Liquor License. If granted, said license will be exercised at 622 Gothic Road, Unit C-130 Mt. Crested Butte, Colorado. The liquor license authority of the Town of Mt. Crested Butte, Colorado, will hold a public hearing on said application on Tuesday, the 20th day of November, 2007 at 6:00 p.m., in the Council Chambers, Municipal Building, Mt. Crested Butte, Colorado at which time and place any interested persons may be present and heard. Published in the Crested Butte News. Issue of November 16, 2007. #111607. The application of Elk Avenue Partners to renovate and construct an addition to a commercial building located at 332 Elk Avenue, block 27, lots 1-4, zoned B1. – Permission is required to demolish a portion of an historic building. – Approval to enlarge a conditional use for a restaurant is required. west side-yard setback is required. – Special review classification is required in the B1 zone. – Payment in lieu of providing 9 off street parking spaces is requested. Published in the Crested Butte News. Issues of November 16 and 23, 2007. #111611. The regular meeting of the Board of Directors of the Crested Butte South Metropolitan District scheduled for Wednesday, November 21, 2007, at 6:00 P.M. has been changed to Wednesday, November 28, 2007 at 6:00 P.M. Tap Fees $10,000 $11,000 per E.Q.R. 2,000 sq. ft.
For further information please call 349-5480. Published in the Crested Butte News. Issues of November 16 and 23, 2007. #111615. The Town Council of the Town of Mt. Crested Butte, Colorado, shall hold a public hearing on December 18, 2007, at 6:00 o’clock p.m. at the Mt. Crested Butte Town Hall, 911 Gothic Road, Mt. Crested Butte, Colorado 81225, upon the annexation petition set forth below and incorporated herein by this reference for the purpose of determining and finding whether the area proposed to be annexed in said petition meets the applicable requirements of §§31-12-104 and 31-12-105/ C.R.S., and the provisions of the Town of Mt. Crested Butte Resolution No. 1, Series 1995, and is considered eligible for annexation. SETTING FORTH FINDINGS OF FACT RELATING THERETO; AND SETTING A PUBLIC HEARING UPON SAID PETITION FOR ANNEXATION. Section 1. The Town Council hereby finds that the petition for annexation of 8.87 acres of land adjacent to the boundaries of the Town of Mt. Crested Butte as submitted by Brush Creek Holdings, LLC, a Colorado limited liability company, to be in substantial compliance with the requirements of §31-12-107, C.R.S., and the requirements of the Town of Mt. Crested Butte Resolution No. 1, Series 1995. Section 2. The Town Council shall hold a public hearing on the petition for annexation on Tuesday, December 18, 2007, at 6:00 o’clock p.m. at the Mt. Crested Butte Town Hall, 911 Gothic Road, Mt. Crested Butte, Colorado 81225. Section 3. The Town Clerk is hereby authorized and directed to publish notice of the public hearing pursuant to §31-12-108(2), C.R.S. INTRODUCED, READ, AND ADOPTED at a regular meeting of the Town Council of the Town of Mt. Crested Butte on the 20th day of November, 2007. Subject Property: Approximately 9 acre piece of land Iying adjacent to the NW corner of Mt. Crested Butte, formerly known as the “Astronaut Parcel” now owned by Brush Creek Holdings, llc, a Colorado limited liability company. Petitioner: Gary F. Garland, Managing Member, Brush Creek Holdings, llc. I. It is desirable and necessary that this parcel be annexed to Mt. Crested Butte. 2. The requirements of sections 31-12-104 and 31-12-105 have been met. More specifically, more that one sixth of the perimeter of the parcel area is contiguous to the Town. 3. The signer of this petition comprises a representation of 100% of ownership of the parcel. 4. The Petitioner respectfully requests that the Town of Mt. Crested Butte approve the annexation of the parcel proposed to be annexed. Signed this 3rd day of October, 2007 by Gary F. Garland, Managing Member of Brush Creek Holdings, llc. I hereby certify and affirm that the signature above is my true legal and usual signature. 1. A fee of $1000 plus $100 for each acre sought to be annexed ($900), total submission fee of $1900 accompanies this Petition. 2. A map showing the proposed Land Use Plan for the property is attached and is included as part of this Petition. 3. Municipal services, water, sewer, power and telephone shall be installed within and to this parcel from existing parcels at no cost to the Town. All services shall be paid by the eventual developer of the property in whole, or possibly in conjunction with the Prospect Metropolitan District. 4. The parcel is already within the Mt. Crested Butte Water and Sanitation District. Please see accompanying letter from the District. The District has the capability to service the water and sanitation need of the proposed uses of this property. 5. The parcel is within the boundaries of the Crested Butte Fire Protection District. Please see accompanying letter from the Fire District. County of Gunnison, State of Colorado. A RESOLUTION ADOPTING REQUIREMENTS FOR PETITIONS FOR ANNEXATION TO THE TOWN OF MT. CRESTED BUTTE, COLORADO; SETTING FORTH THE STANDARDS FOR ACCEPTANCE OF SUCH PETITIONS AND REQUIREMENTS FOR THE STATUS OF PROPERTY PRIOR TO ANNEXATION. Section 1. Annexation. Annexation to the Town shall be in accordance with Title 31, Article 12, Colorado Revised Statutes, and the term and conditions of this resolution. A. Fees. Each petition for annexation shall be submitted with a non-refundable petition for annexation fee of $1,000.00 plus the sum of $100.00 for each acre of land sought to be annexed. In addition to the above fees, the person submitting such petition shall be responsible for the actual costs of publication and recording fees required by State law or this resolution. In lieu of cash payment of the petition for annexation fees called for herein, the Town may accept the dedication of land or an interest in land, if the Town council determines, in its sole discretion, that the dedication of land would serve a necessary public purpose, and that the value of the proposed dedication is equivalent to the cash amount of fees required herein. A land dedication in lieu of petition for annexation fees shall be in addition to any land dedication which is negotiated in the annexation agreement and which is required by the laws of the State of Colorado or the ordinances of the Town. B. Land Use Plan. Each petition for annexation of currently undeveloped or unsubdivided properties shall be accompanied by a plan which shall contain a site plan of the area sought to be annexed showing, at a minimum, the existing and proposed roads, drainage basins, and irrigation ditches, the proposed land uses, including specific densities of development, and a zoning plan for the property complying with the Master Plan of the Town of Mt. Crested Butte, Colorado. C. Extension of Municipal Services. Each petition for annexation shall be accompanied by evidence that all municipal services are capable of being extended to the area sought to be annexed without cost to the Town, or a plan for the extension of the necessary municipal services to the area to be annexed at no cost to the Town. D. Water and Sewer Service. Each petition for annexation shall be accompanied by proof that the area to be annexed is within the boundaries of the Mt. Crested Butte Water and Sanitation District, and that the Mt. Crested Butte Water and Sanitation District has sufficient water available and capacity for sewage treatment to serve the area sought to be annexed, or proof that an application for inclusion of the area to be annexed within the boundaries of the Mt. Crested Butte Water and Sanitation District has been filed with said District prior to or contemporaneous with the filing of the annexation petition with the Town. If the property to be annexed is not to be included within the boundaries of the Mt. Crested Butte Water and Sanitation District, then the petition for annexation shall be accompanied by a plan detailing the source of domestic or municipal water to serve the area, proof of ownership of any necessary water rights to implement such a plan, a plan of sewage disposal for all uses proposed for the area to be annexed, together with engineering date sufficient to show the compliance of the sewage disposal plan with all federal and state regulations or laws. E. Fire Protection. Each petition for annexation shall be accompanied by proof that the area to be annexed is within the boundaries of the Crested Butte Fire Protection District or proof that an application for inclusion of the area to be annexed within the boundaries of the Crested Butte Fire Protection District has been filed with said District prior to or contemporaneously with the filing of the annexation petition with the Town. 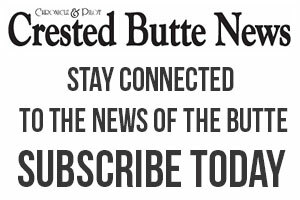 The property sought to be annexed to the Town shall be within the boundaries of the Crested Butte Fire Protection District before final action is taken upon the annexation. F. Proof of Ownership. Each petition for annexation shall be accompanied by either a commitment for title insurance naming the Town as the proposed insured, issued by a title insurance company licensed to do business in the State of Colorado, or an attorney’s title opinion, signed by an attorney licensed to practice in the State of Colorado, establishing the ownership of the property described in the annexation petition. In either case, the proof of ownership shall be dated not more than sixty days prior to the date of filing the petition for annexation with the Town. Section 3. Annexation Agreement. Within two weeks of the adoption of a resolution finding substantial compliance of the annexation petition with the requirements of the State Statutes and the terms of this resolution, there shall be submitted to the Town a proposed Annexation Agreement to be binding upon the petitioner, his successors and assigns, and committing the undeveloped or unsubdivided property described in the petition to future development in strict accordance with the Land Use Plan which accompanies the petition, or committing previously subdivided land to compliance with the Town’s development standards. B. The proposed annexation will provide the Town with amenities or facilities which are desired by the Town, and which the Town determines justifies the annexation of the property. Section 5. Final Action on Annexation of Undeveloped or Unsubdivided Land. Prior to consideration of an ordinance annexing undeveloped or unsubdivided property to the Town, the final form of an Annexation Agreement binding the property to future development in accordance with the Land Use Plan shall be agreed upon by the petitioner and the Town. No undeveloped or unsubdivided property shall be annexed to the Town without an Annexation Agreement acceptable to the Town. Contemporaneously with the adoption of the ordinance annexing property to the Town, the Town Council shall adopt an ordinance designating the zoning classifications of the property being annexed, conforming with the approved Land Use Plan for such property, in accordance with Chapter 21 of the Code of the Town of Mt. Crested Butte, Colorado. G. Compliance with all ordinances, resolutions, and policies of the Town of Mt. Crested Butte. Contemporaneously with the adoption of the ordinance annexing property to the Town, the Town Council shall adopt an ordinance designating the zoning classifications of the property going annexed, conforming with the approved Land Use Plan for such property, in accordance with Chapter 21 of the Code of the Town of Mt. Crested Butte, Colorado. Section 7. Expiration. All provisions of this resolution must be fulfilled by or before twelve (12) months from the date of acceptance of a petition for annexation. Section 8. Prior Resolutions. The provisions of this resolutions shall supersede any prior annexation resolution or guidelines previously adopted by the Town of Mt. Crested Butte, Colorado. INTRODUCED, READ, AND ADOPTED at a regular meeting of the Town Council of the Town of Mt. Crested Butte, Colorado, on the 3rd day of January, 1995.